If this really bothers you, you can move to a 6-saddle bridge. However, while this gives you more control over individual strings, most people feel that it alters the sound too. General consensus is that a chunk of the original ‘Tele sound’ comes from the extra coupling of its two-string saddles but, if exact intonation is an absolute requirement for you, six saddles are the answer. There are some alternatives to switching to a 6-saddle bridge however. 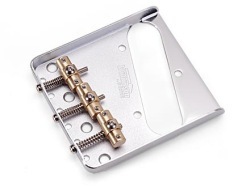 The first option is to use Trev Wilkinson’s Tele Bridge with adjustable saddles. 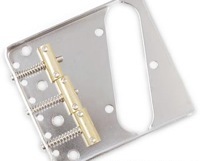 You can get this as a complete replacement bridge or as retro-fit saddles only. 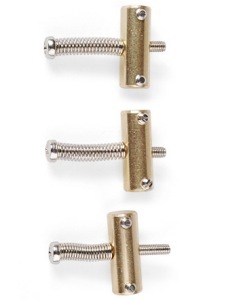 Each of the brass saddles can pivot on the intonation screw. This means you can rough-in your intonation and then pivot the saddles to get each string pair a little more accurate than you can with the regular, straight, saddles. Once you have things the way you like them, there is a locking screw that tightens and snugs everything up to stop it moving about and provide for more solid string vibration transference. The second option is a similar, if simpler idea. On the left are Tele Compensated Bridge Saddles. Basically, the saddles are already angled to compensate for string length and provide better intonation. These saddles are similar to the ones fitted by Fender to the Danny Gatton signature Teles. They don’t allow for pivoting like the Wilkinsons above but, in my opinion, that’s why I prefer them. They’re more ‘Telecaster’. There’s less that can go wrong and less things in the way of getting that string vibration into your bridge and body. Personally, I feel these are a better option if you don’t want to mess with the sound of your Tele. They have the added advantage of being cheaper than the Wilkinsons. Replacing the saddles on your Tele is a relatively simple job. Before you do so, make a few measurements though. Note the height of each string (generally, I’d do this at the 17th fret – noting height between the top of the fret and the bottom of the strings). If you also note the distance each saddle is from the back of the bridge, it can help to get you back in the ball park after the new ones are installed. Pop the new saddles on (after removing stings, of course). Set roughly in place and restring. Then you can do your fine setting of height and intonation. These saddles do provide an improvement on the regular Tele saddles. They’re not perfect however and there is still some ‘averaging-out’ of differences to be done on each string pair. This is generally less than on the standard saddles however and you should see improved intonation. As mentioned though, if exact intonation is a must-have for your Tele, you really need to consider a 6-saddle bridge. You can get any of the items mentioned here from Stewart MacDonald. 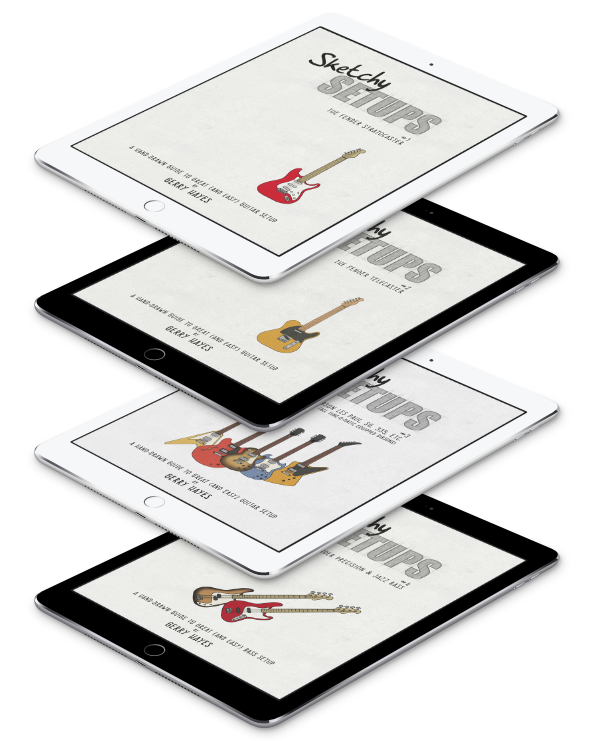 They’re a fantastic resource for any guitar repair items you might need and are always incredibly helpful (I’m not on commission by the way but I did use their images so, if you’re buying these, do get them over at StewMac). Feel free to ask any questions in the comments below and I’ll do my best to help out.